The CPLP and the ILO have signed a Memorandum of Understanding for cooperation in 2004 and have been working together in several areas since 2006 including social protection, the fight against child labour, labour inspection, labour statistics and social dialogue. Throughout the years, the political support of CPLP has highly contributed to turn this commonwealth into a key platform for ILO activities in each of those domains. 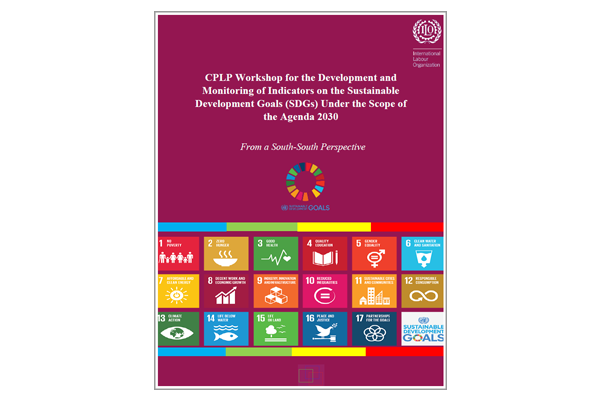 A training course seeks to improve the knowledge of CPLP member countries in the field of labour statistics, and particularly, social protection and labour-related statistics as covered by the SDG Global Indicator Framework. This paper present articles that were developed by workshop participants who have received a grant from the ILO South-South Cooperation Program for their participation.